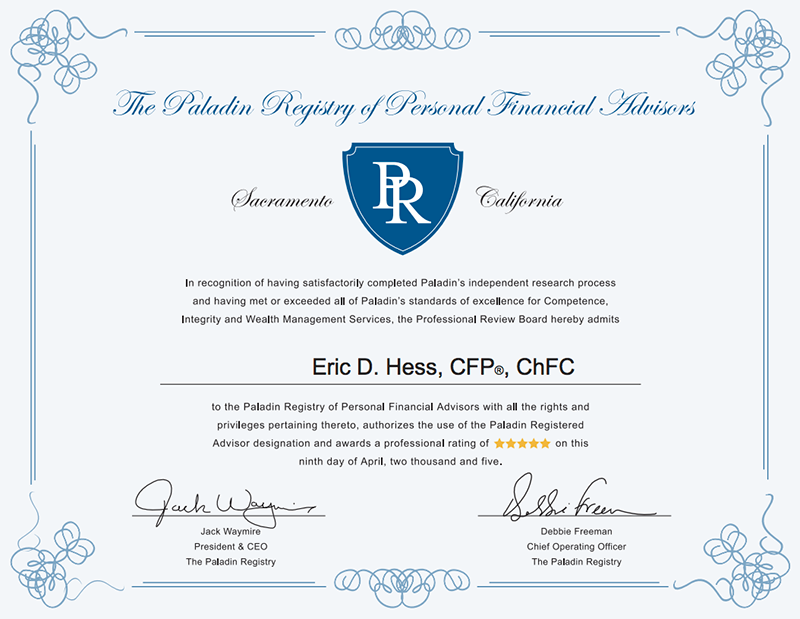 Eric has received a 5 star Rating by the Paladin Registry of Personal Financial Advisors. 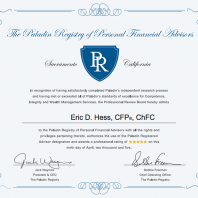 The top level 5 star advisors are chosen based on a number of factors such as competence from thousands of hours of education and experience, college degrees, certifications and professional designations. 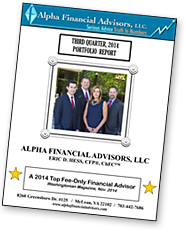 All 5 star advisors must be independent, fee-based advisors who are acknowledged fiduciaries. This means they are held to higher ethical standards than commission salespeople.